Have healthy eating habits, you are told. And then often are supposed to transform your life practically over night and eat food you hate. All this isn’t necessary. With the following five tips it is much, much easier to create the most solid foundation for a healthy change. When I was growing up in Russia, there wasn’t a lot of junk food – the first McDonald’s restaurants were just opening and at that time I never met anyone who struggled with healthy eating. We always cooked at home and it was always healthy. Later I learned the reason why I personally was this fortunate: because my parents wanted me to develop good eating habits, so I wouldn’t have to struggle when I grew up. You have no idea how thankful I am for that. I love water, it’s my favorite drink, and I don’t know many people who can say that. When I moved to the US and went to high school, all I heard most girls talk about was weight loss and how they had to stop eating junk food. I thought, look at those silly girls, why don’t they just stop eating it? I didn’t understand it at that time: how can someone love French fries and pizza more than fruits and salads? It took me years of being around people who are overweight to really understand what they are going through. Now, I get emails almost every day with people telling me stories of their struggle to eat healthy, some of those emails bring me to tears, because I know that junk food has become an epidemic. 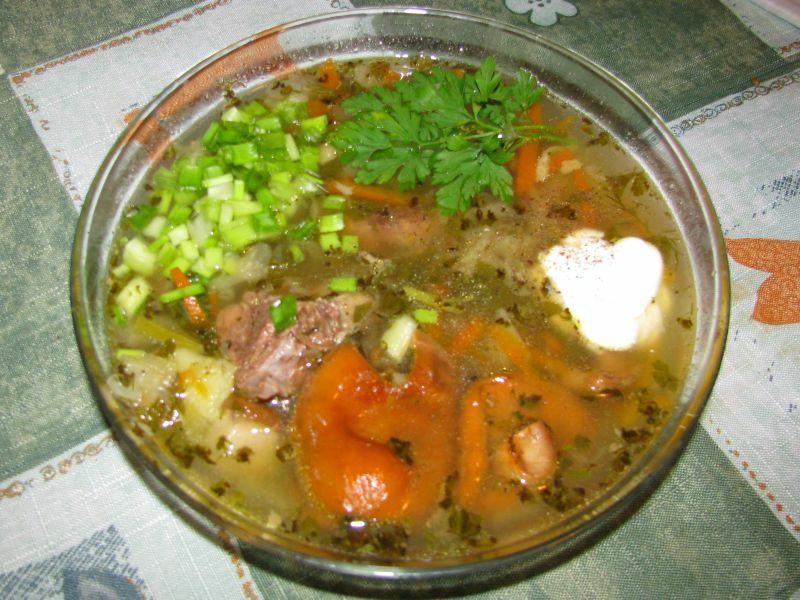 Traditional Russian shchi soup, consisting of cabbage, carrots, onions, celery, meat and herbs. The dish dates back over a thousand years. I know this is very obvious, but drinking more water is the first step to developing healthy eating habits. Water is essential for our bodies. Start by drinking a glass of water right after you wake up, this is going to wake up all of your bodily cells. Then, add a glass of water before and after all of your meals. It’s gonna help with your digestion and water before a meal will also leave less room for calorie-rich foods. Every glass of water is a step to a healthier you. If you go to a restaurant, most likely you will be asked to order an appetizer, then the actual meal, then dessert. I wonder who came up with this ridiculous idea, but I am sure the person who did it didn’t have American portions in mind. If you really think about it and add some common sense to the mix, what you are often served is like having 3 meals in one sitting. Just food for thought :). I know this is a problem for at least 90% of people, including me sometimes. I’ve gotten really good at controlling it, but sometimes when I go to eat sushi, there is that voice in my head that whispers, “eat more, eat more, you know you want to”. And I totally want to, but there is also another voice in my head that tells me something else: “remember how you feel when you overeat? 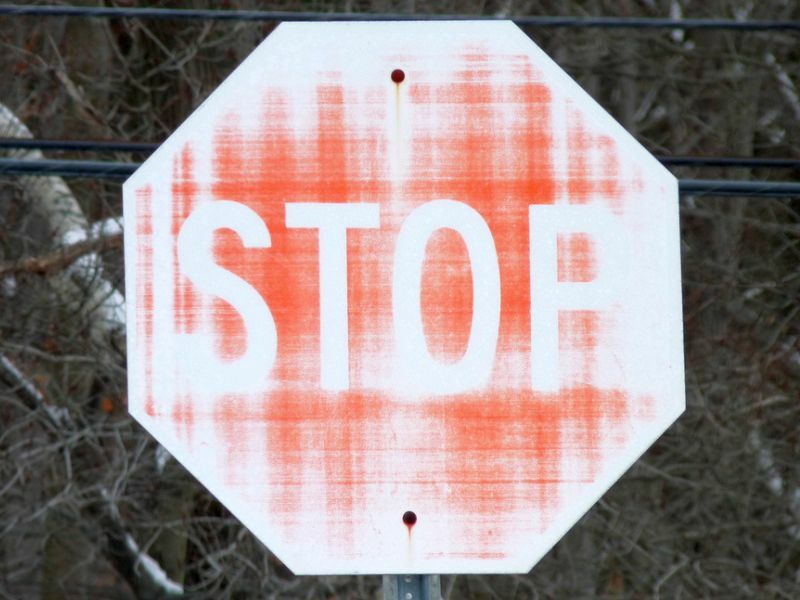 Stop now before it’s too late!” Lately the second voice has been winning. Try to listen to your body, because there actually are signals showing you when enough is enough. Cramps, gas and burping are the most obvious. You can also ask yourself, “am I really still hungry or does it just taste so good?” We are not cavemen anymore, there is plenty of food, you don’t have to eat everything in one sitting. One way to begin loving veggies is to add a small cup of them to every meal. As your body begins to adopt eating veggies every day, you will begin to crave them. Sounds crazy, right? But it works! In another article I wrote about how you can stop craving junk food and explain this in a lot of detail. If you haven’t read it yet, you may want to go and check it out. This is one of my favorite nutrition tips: when you see the food you love ask yourself, “am I really craving this right now? ” If your answer is “maybe”, then you should skip. If you really crave something, and you absolutely have to have it, then go ahead and allow your self a little treat, just as long as you don’t stuff your self. Don’t try to do this all at once. Begin making these small changes one by one. This will make it much easier and over time add up. One day then you might wake up realizing how much your life changed. Without even noticing it, you became a health nut. Pictures courtesy of Frank Kovalcheck, Wikimedia and Ruthanne Reid.